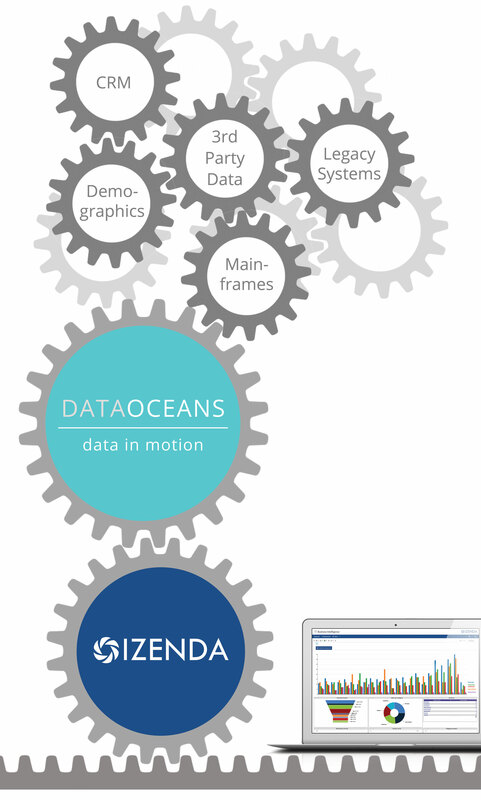 DataOceans and Izenda have teamed up to create an experience that harnesses the power of the DataOceans Oceanus CCM solution and the intelligence of the Izenda analytics platform. Are you using available customer data to continuously improve their communication experience? The inability to optimize customer communications is preventing companies from forming the meaningful, profitable relationships that come from engaged customers. Business users are locked away from valuable customer data, reducing their ability to analyze customer data and lack a business-friendly means to leverage important data when creating customer communications. These constraints, placed on them by legacy systems and dis-aggregated data models, prevent business users from achieving a higher level of customer engagement. In order to overcome these challenges, companies must empower business users by providing them with appropriate access to information in a self-service analytics platform and enabling business users to act upon this information through a fully integrated CCM solution.